A policewoman accused of aiding suspected kidnap kingpin to escape justice in 2006 is still in the police. It was gathered that the woman, simply identified as Tina, is now a Chief Superintendent of Police (CSP). She was unmasked by a Special Investigation Panel (SIP) constituted by Inspector General of Police (IGP) Ibrahim Idris to probe Evans’ 2006 arrest, transfer from Lagos State to Imo State and eventual release. The fundamental rights suit filed by Evans has been assigned to Justice Babs Kuewumi of the Federal High Court in Lagos for adjudication. The case, a source said, has been returned to the registry for temporary assignment to another judge who will sit during the court’s long vacation. The vacation judge handles only urgent motions and cases bordering on human rights violations before they are re-assigned permanently to other judges. The source said: “The case was assigned to Justice Kuewumi. But due to its nature, the judge felt it would be better handled by a vacation judge. The court will begin its nine-week annual vacation on Monday. It will resume on September 8. A statement by Chief Registrar Emmanuel Gakko reads: “The Federal High Court of Nigeria hereby wishes to notify the general public, lawyers and litigants that the court’s annual vacation for the year 2017 shall commence from Monday, 10th July 2017 and would end onFriday, 8th September 2017. Two judges – Justice Abdulazeez Anka and Justice Chuka Obiozor – will take turns to sit during the vacation in the Lagos division. It was not immediately clear who will sit first during the vacation. Evans sued the Inspector-General of Police for alleged violation of his fundamental rights. He is praying the court to compel the police to charge him rather than detaining him indefinitely since June 10. Evans is also demanding N300million damages and an apology for the alleged violation of his rights. In the fundamental rights enforcement suit filed on his behalf by a Lagos lawyer, OlukoyaOgungbeje, the suspected kidnapper said his continued detention without trial was illegal. The police, Lagos Commissioner of Police, Special Anti-Robbery Squad and the Lagos State Police Command are the other respondents. Evans argued that the respondents ought to have charged him to court in line with Sections 35 and 36 of the Constitution. 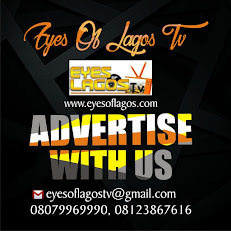 In a 27-paragraph affidavit in support of the motion deposed to by Evan’s father, Stephen Onwuamadike, it was averred that the applicant had been subjected to media trial without any court’s order. The father said since his son’s arrest, all his family members has been denied access to him while reporters were granted unfettered access to him. An Assistant Commissioner of Police, Abba Kyari, said Evans’ detention was to allow for thorough investigation. 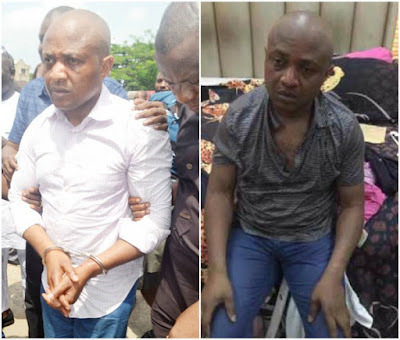 “All those who want Evans released did not know that the police had obtained a 90-day warrant to detain him,” said Kyari, who led a special squad that smashed Evans’ gang. Evans had also reportedly denied instructing any lawyer to file a suit on his behalf. “I have no hand in any case filed against the police and I did not speak with any lawyer or my father to file a case on my behalf,” he was quoted as saying in a television interview. Ogungbeje, however, told our correspondent that he was instructed by Evans’ family to file the action. The lawyer said Evans’ father was personally in court to depose to an affidavit in support of the case.